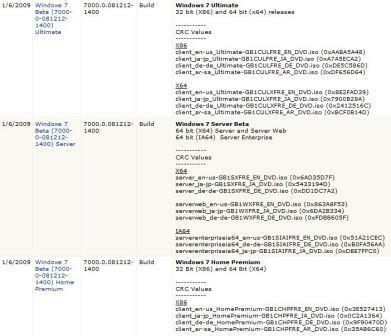 Although Windows 7 Beta publicly available Customer Preview Program (CPP) has been officially launched, which allow everybody to download and install Windows 7 Beta build 7000 ISO, but some people may still want to join and access to Windows 7 Beta connection in Microsoft Connect website, the main platform to test Microsoft products. Join Windows 7 Beta connection in Microsoft Connect has a few advantage, such as can access to more downloads such as Windows 7 Home Premium, Windows 7 client and server language packs, and most important, get not one, but up to 5 free, unique, and personalized beta product keys (also available is generic Windows 7 product keys) to activate all available editions of Windows 7 Beta and Windows Server 2008 R2 Beta. Microsoft Connect: If you are a hardware partner but do not have a Winqual account, you can access the Windows 7 Beta by entering invitation ID Win7-3HQW-RF74 on the Microsoft Connect homepage. Thus, to join Windows 7 Beta Ecosystem Connection, just visit Microsoft Connect website, and enter the Win7-3HQW-RF74 invite code in the “Your invitation ID” text box of “Were you invited to join Connect?” section. Click on Go button, and then sign in (or sign up) with a Windows Live ID. The Hardware Newsletter invitation code was posted publicly. We hope to have a solution in place shortly and apologize for the inconvenience.